Are your current systems holding back growth? The old manual ways are no longer cutting it? Staff chasing their tails trying to get things done in time? How can you overcome barriers to growth? Staffing is at capacity but you’d prefer to invest in smarter ways to produce more output than add extra administrative head count. Customers and Suppliers are demanding more and more staff time to reconcile, update, manage shipments or information (without earning you an extra revenue). Errors are consistently being made e.g. wrong product supplied, price incorrect, rework required. Credits are on the increase. Your people are feeling burnt out and have had enough! 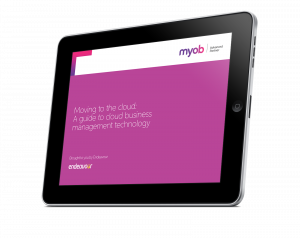 Invest in scalable systems and free your staff to undertake more value-add functions. Help operational parts of the business work together – by capturing, storing and sharing information. An ERP implementation plan is how your business can reduce the risks involved in an ERP rollout. Implementing a new ERP solution brings huge value, but with it risks and disruption. Our new guide will help you assess those risks and prepare for the disruption. Read how Butch Pet Food eliminated errors in orders, halved stock holding costs, and reduced order processing from hours to minutes.